Your decision to acquire the professional products and services of a qualified Healthysmiles cosmetic dentist is obviously the result of an intensive search process. Such an approach to choosing from among several cosmetic dentistry Melbourne professionals is warranted considering the health implications and cost impact of your final choice. Keep in mind that cosmetic dentists must achieve a balance between form and function when it comes to teeth whitening, restoration and implantation, among other procedures. Your first step in finding a reliable cosmetic dentist – or any dentist with a specialisation, for that matter – is to ask around. Your family, friends and co-workers are the obvious choices for recommendations to reliable dentists. You can also ask around in the medical community since these professionals maintain a wide network of their fellow healthcare providers. Ask your family doctor, local pharmacist, and nurse, for example, for recommendations. Many of them will add the name of a Healthysmiles cosmetic dentist to your list. The bottom line: Don’t settle for the first name that comes to mind or comes with good recommendations. Do look at the credentials of the dentists, their track record, and their available services as well as the state of their clinics. 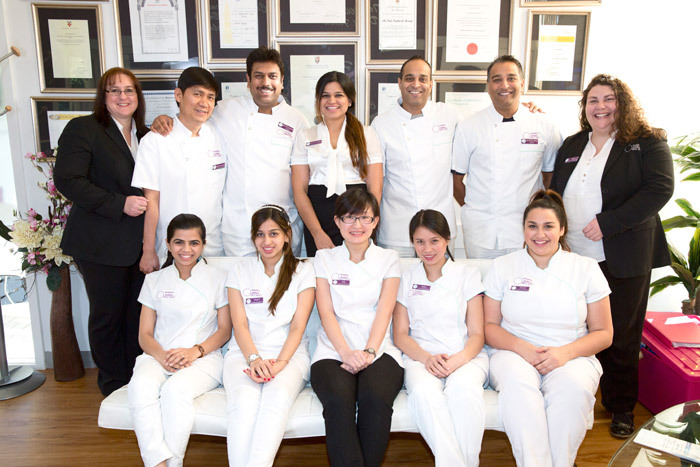 Once you have the list of several cosmetic dentistry Melbourne professionals on your hands, your next step is to actually interview the dentists and visit their clinics. Office hours. Look for dentist with emergency hours just to be on the safe side. Office location. Choose a dentist with a convenient location from your office or residence. Professional credentials. Select a Healthysmiles cosmetic dentist because you have the assurance of high-quality education, training and work experience as well as continuing education (i.e., attendance in industry conferences). Clinical and administrative staff. Look for dentists with competent, courteous and friendly staff members so that your dental experience will be pleasant, at least. The staff should also adopt modern-day hygiene practices like wearing of gloves and face masks. Clinic environs, equipment and tools. Look around for signs that, indeed, the dental clinic has clean surroundings, modern equipment, and sterilised tools, among others. And then there’s the aspect of knowing the types of services offered by the likes of the Healthysmiles cosmetic dentist. Teeth whitening services where stains on the teeth are removed. Said stains can be the result of poor dental hygiene, smoking cigarettes, and eating stain-causing foods as well as certain medications. Bonding refers to the application of tooth-coloured material into the gaps of the teeth to close said spaces or to change their shape and color. Crowns and veneers cover teeth to restore these to their normal appearance. Dental implants are the better option than plates and dentures. All of these services are available from the Healthysmiles cosmetic dentist, of course. Find the best and professional dentist near Blackburn, Melbourne. Contact Us or Call us on 03 9877 2035 to book an appointment.